The BMW M44 is a 4-cylinder engine, which replaced the M42 engine and was produced from 1995 to 2001 at Steyr. This power unit has taken a leading position in the program of four-cylinder engines of BMW and compared to the M42, M44 has been made on the set of structural changes in the engine and the control system and the exhaust system. 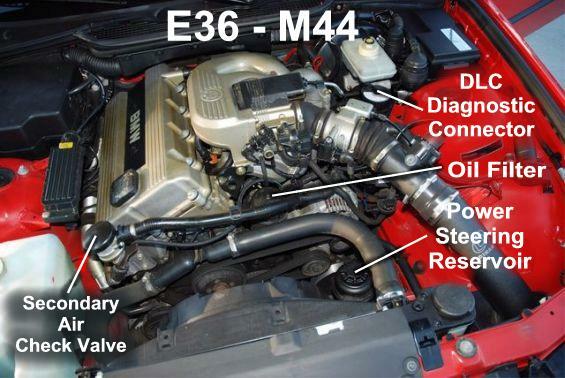 M44 is a powerful engine with high torque created on the basis of the M42 engine. It’s concept is so that allowed the engine to comply with all legal requirements to limit the toxicity of exhaust gases and the requirement to limit the noise level at the time of its production. M44 is equal to M42, but the problems with timing are much less common. A common problem of cold start (often at temperatures below -10 ° C) associated with the loss of compression due to the occurrence of compression rings. With time M44 was replaced by N42 engine.